Why should companies be prosecuted? In a global economy, multinationals have acquired considerable power. Their activities sometimes have a negative impact on the rights of affected populations, and some economic actors may even be complicit in international crimes: genocide, crimes against humanity, war crimes, torture. To date, few legislations have incorporated binding standards that make it an obligation for companies and their subsidiaries to respect human rights abroad. States often favor the voluntary rules adopted by companies, which are far from adequate in the opinion of human rights organizations and experts. Despite this permissive backdrop, under certain circumstances it is possible to bring a company and/or its employees to justice, especially when abetting a crime in a country where a company operates can be attributed to that company. For example, if, in full knowledge of the facts, a company based in Switzerland procures equipment that has been used to commit acts of torture from another State, it may be convicted as an accomplice to such acts. 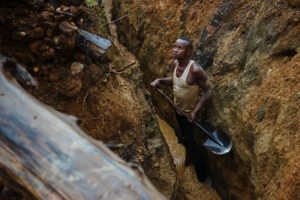 Similarly, if a company knows full well that the minerals it refines have been looted within a context of armed conflict, it may also be convicted. To date, however, there have been very few convictions. TRIAL fights the impunity of international crimes, regardless of whether they are committed by individuals or companies. The organization carries out investigations into the actions of certain economic actors and, if applicable, files criminal complaints against those it suspects of committing international crimes.